Hot, Hot, Hot Blackfin And Snapjack Tuna Fishing, The Humps Are Where It’s At, And There’s Nothing Better Than Islamorada Sushi In Our Latest Islamorada Sport Fishing Report! 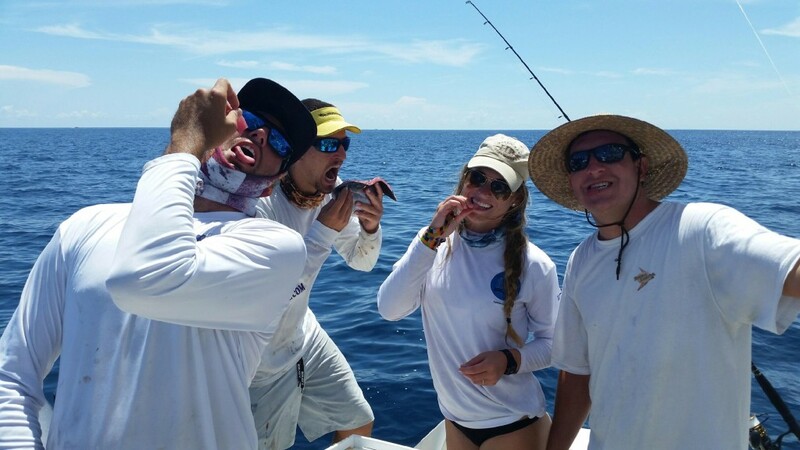 The Reel Sharp Islamorada Fishing report for the Florida Keys for the week of September 21st, 2015 is all about Tuna! Blackfin Tuna and Skipjack Tuna more specifically. We were thrilled to have the Antonel family fish on the Reel Sharp Sportfishing charter this week. They booked a 3/4 day fishing trip and caught all of the Blackfin Tuna and Skipjack Tuna they wanted. 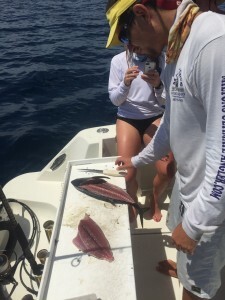 The Tuna fishing was plentiful on both the Islamorada Hump and the 409 Hump. After packing the cooler to the brim full of Tuna, everyone decided that there’s no fresher way to eat Tuna than straight out of the water. Our amazing leader, Captain Marc Toledo, showed off his impressive chef skills and cut some Blackfin Tuna into thin strips right then and there on The Reel Sharp. Grade A Islamorada sushi right on the boat courtesy of Chef Marc! Everyone agreed it was quite delicious. September continues to be an amazing month for fishing in Islamorada. The fish are plentiful and the water isn’t crowded now that the tourist season has wrapped up. It’s the perfect time to get out on The Reel Sharp and catch enough fish to stock your freezer for months to come. We still have a few weeks available for our Fall season Stay & Fish offer. So come on down to The Florida Keys! Call us today to schedule a deep sea fishing trip on the Reel Sharp Sportfishing charter boat.